No bride-to-be wants to hear Halloween and their wedding day in the same sentence do they! So I’m happy to show you today’s black lace and gold wedding colour inspiration, it’s in homage to Halloween but much less ‘fright night’ and more ‘oh-what-a-super-gorgeous-and-chic sight night‘. Yay! 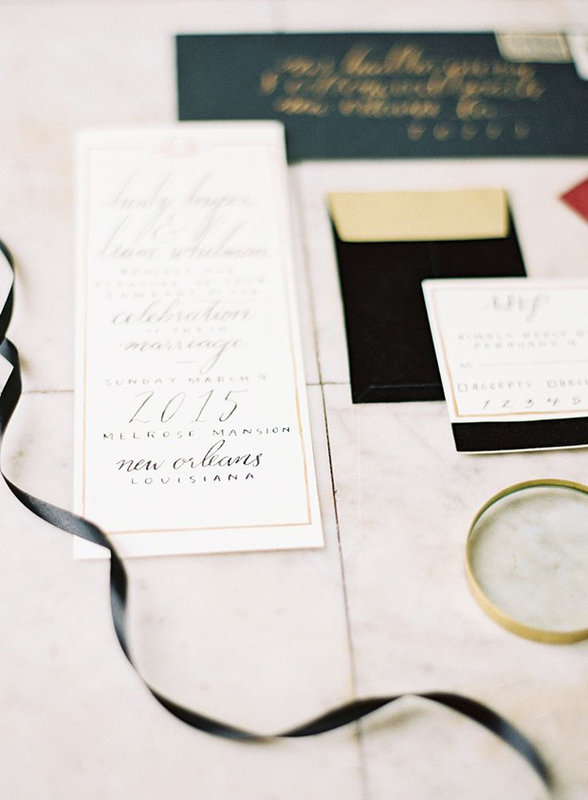 Black and gold is a super sophisticated and opulent wedding colour combination. 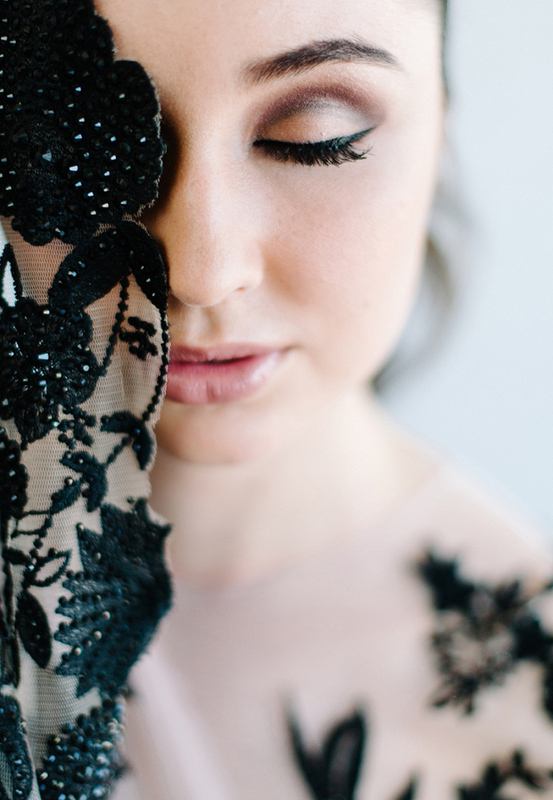 Opt for a black lace and tulle gown for a dramatically romantic look and feel. 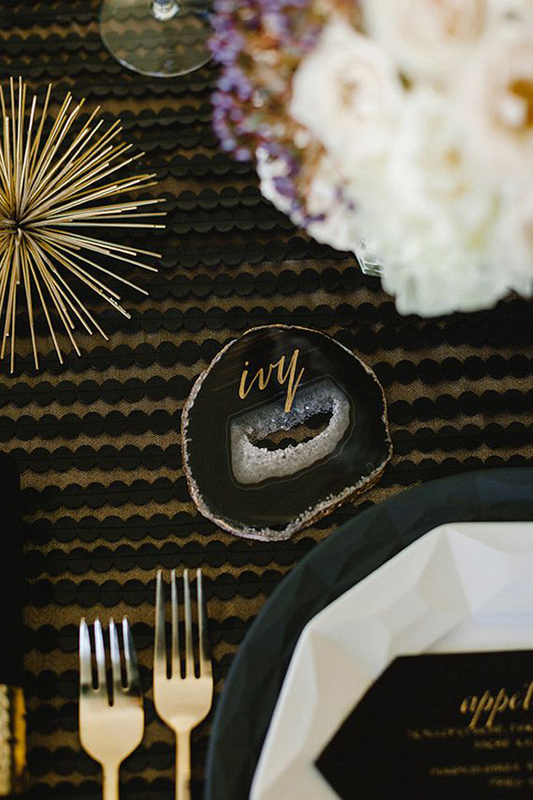 Slate greys look dreamy and modern mixed in with a gold and black colour palette, and also add an extra colour contrast. 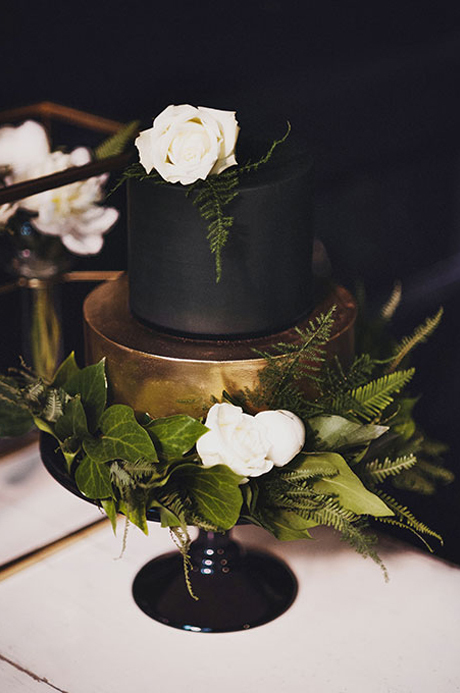 Is black, slate grey and gold the wedding colour palette for you? Let me know in the comments! 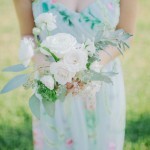 In WTW news I welcome new directory listings Printed Love Co. and Daisy Ellen! Go on, take a look at their wedding-y awesomeness. In other news, if you’re looking for a discount all customers placing their first order with printed.com can get £10 off their baskets over £50 (excluding VAT & shipping) using the code 11AW15. Offer ends 30th November 2015. 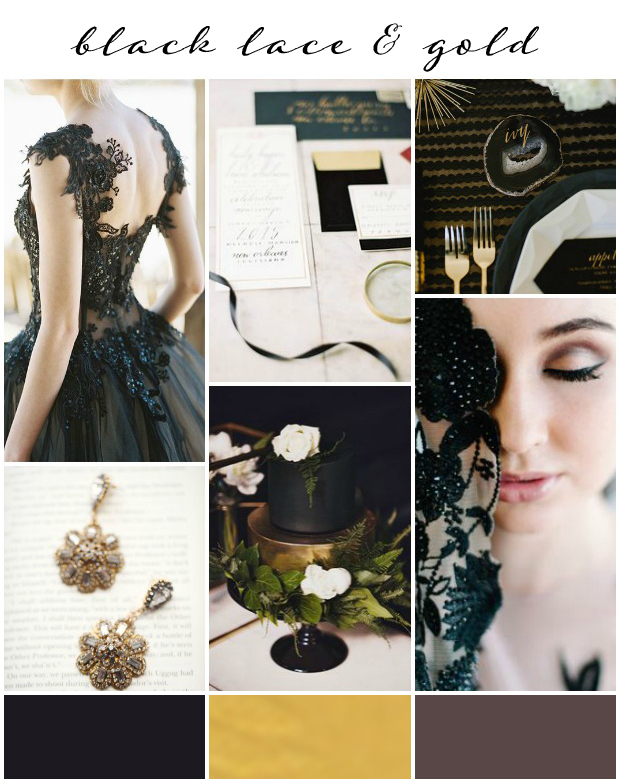 Black and gold would be a great theme for a Halloween wedding. 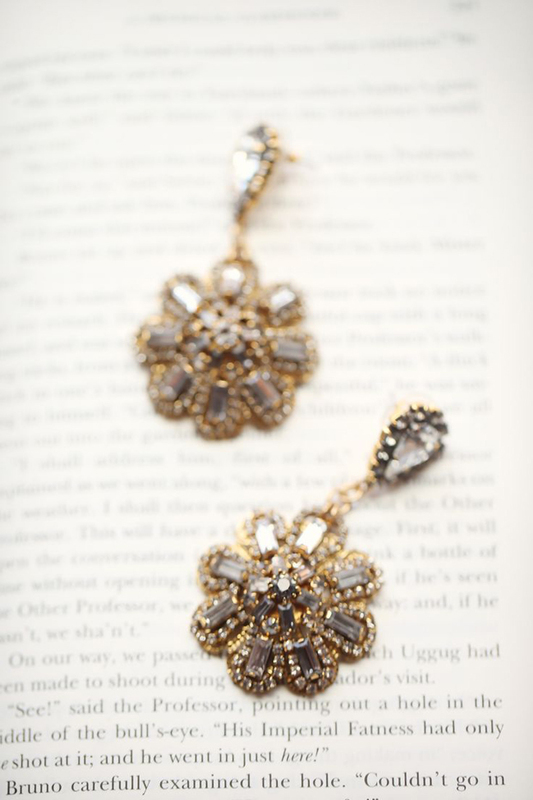 Or any wedding, really… I love anything that isn’t the norm! What a dress – love it – all the details, the lace, the elegance of it all, including the gold and slate -totally smashing! 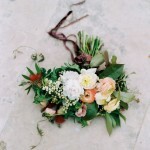 Certainly is a fabulous homage to Halloween and all things super – natural and gorgeous! 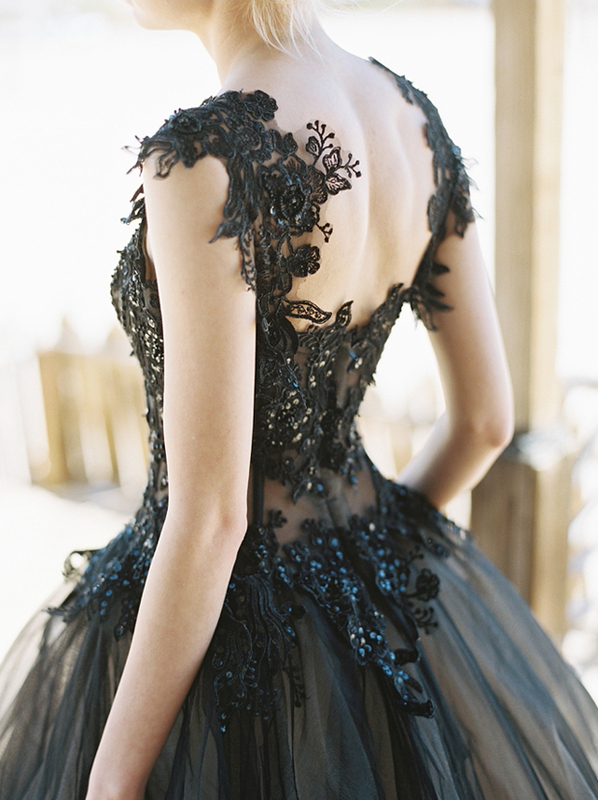 Omg that black lace dress shown from the back is gorgeous – Does anyone know the designer or where it’s available………. Huge thanks in advance. Black lacy dress is fab!